One of our favorite things to do together during the holiday season is watch Christmas movies. We love to snuggle up on the couch by the lights of the Christmas tree, pop some popcorn and just forget our to do lists for a night. It’s such a fun time of year. One of our most favorite Christmas movies is HOME ALONE. I still remember watching it in the theatre on Christmas Day with my family back in 1990, and I love that it’s still a classic my kids can enjoy today. My kids seriously laugh out loud during the end scenes when the bad guys are trying to break in. It’s hilarious! …Such a good family movie. I was all in for the opportunity to share a cute free printable sponsored by one of the films featured in this year’s ’12 Days of Fox Christmas’. There are so many good Fox titles to choose from, you’ll have to click over and see the full list. It’s so easy these days to download movies at home. Digital HD makes watching your favorite Fox Christmas movies quick and easy. You can download HOME ALONE on iTunes today and watch it instantly with your loved ones this holiday season! One of the best lines in Home Alone is: “Keep the change, ya filthy animal”. Have you seen those funny Christmas sweaters that read: “Merry Christmas Ya Filthy Animal”. They are hilarious! 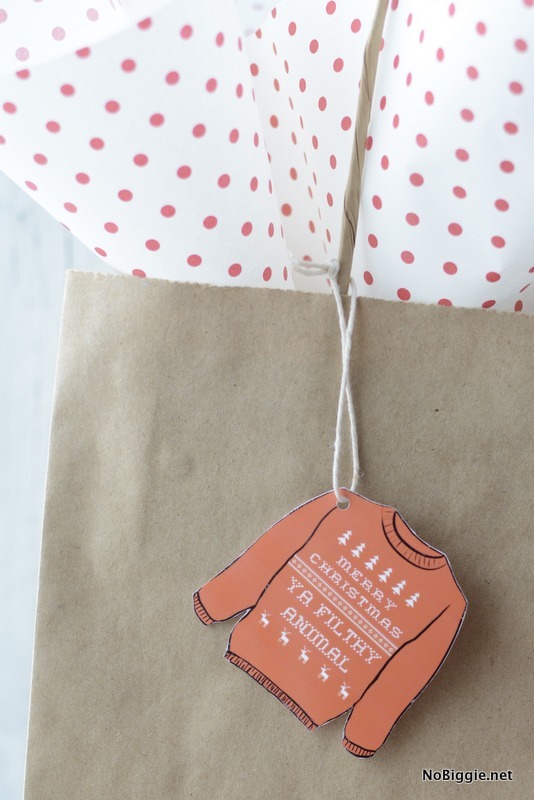 We designed a free printable: Merry Christmas ya filthy animal gift tags for you to add to a few gifts this year. These gift tags are little Christmas sweaters that reads: “Merry Christmas Ya Filthy Animal”. 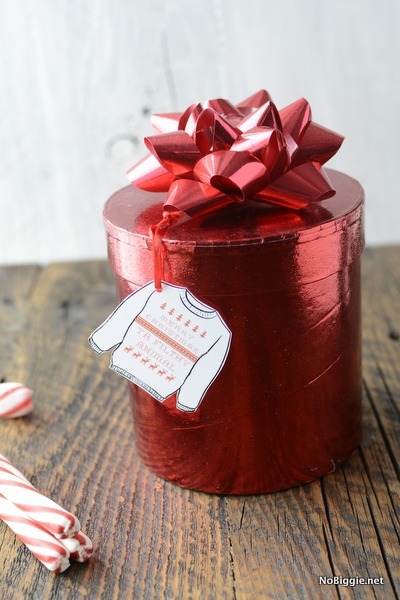 Once you cut it out, you can poke a hole in the top and add a little string to hang it from a gift bag or add it to the top of a wrapped gift. You can write a little message on the back. 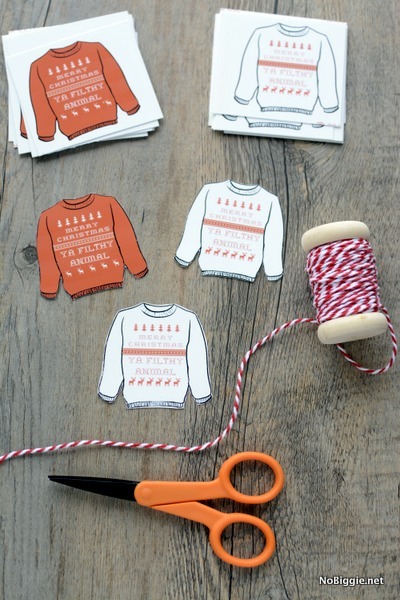 I have a few people on my Christmas list this year that I know will just laugh when they see these cute little sweater gift tags. We all love the movie Home Alone. What is it about “Christmas Sweaters”?! They just make me smile whenever I see them. 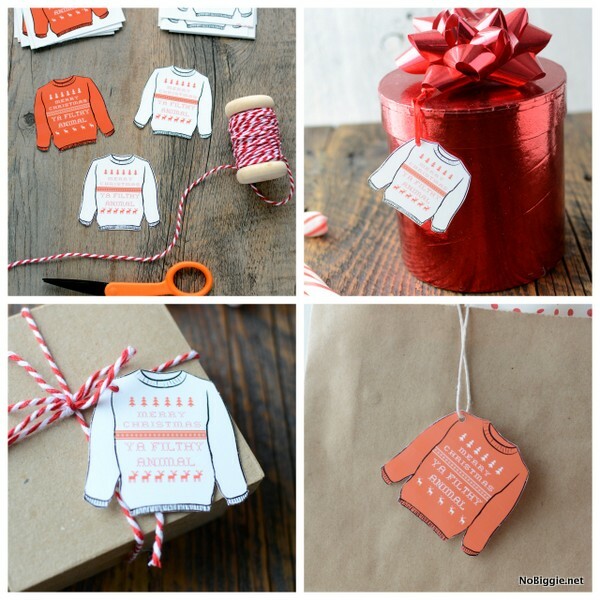 These little tags would also make a cute invitation to an Ugly Christmas Sweater Party too! Just add them to the top of the card. 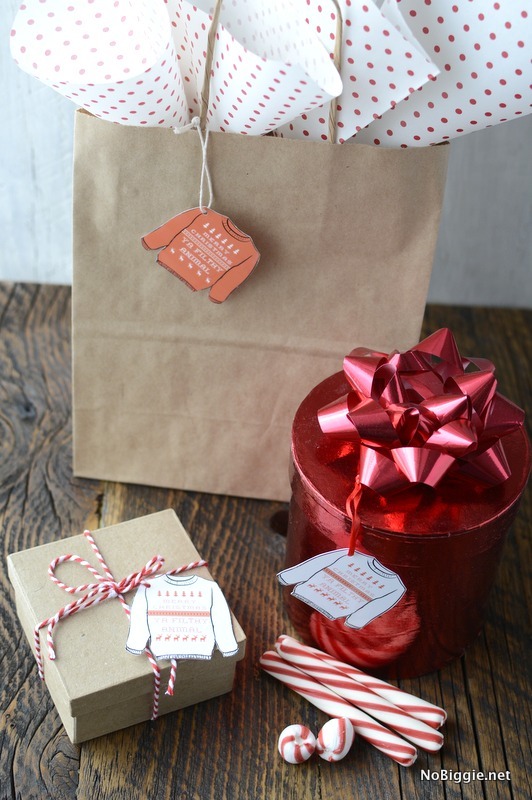 Click the links below to download these free gift tags. 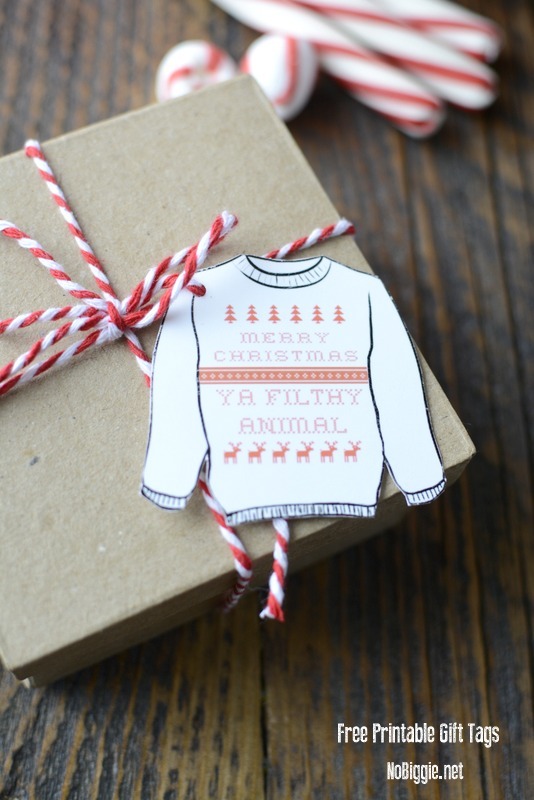 – black and white filthy animal sweater gift tags – this one is to be used with the Minc Foil Applicator tool to get a shiny look. I hope you enjoy this time of year with the ones you love most! Merry Christmas! (ya filthy animal). 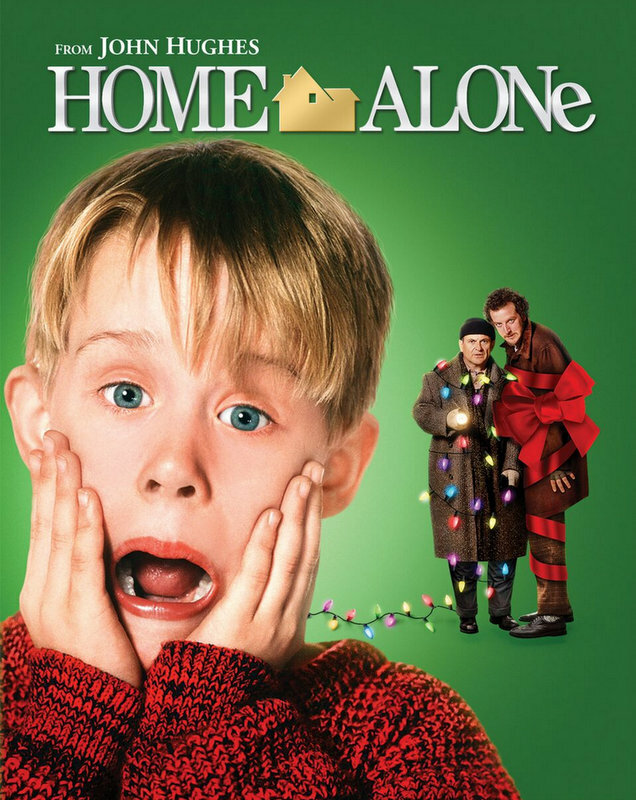 Visit iTunes to download Home Alone today, or another great Fox Christmas movie. There are so many great ones to choose from like: The Family Stone, Jingle All the Way, Miracle on 34th Street, Mr. Popper’s Penguins, and so many more! With Digital HD you’ll be able to watch it instantly with your loved ones this holiday season. This holiday season you can generate your own special greeting inspired by Home Alone. Get started here, then use #MemeKevin to share your piece of work! *This post sponsored by Fox Home Entertainment. Thank you for supporting the brands that support NoBiggie.